Naisimari Lentula, a Yiaku herbalist, with a community forest scout outside her house. Image by Shadrack Kavilu for Mongabay. The Yiaku, hunter-gatherers turned herders who live deep inside Mukogodo Forest in central Kenya, have relied on herbal remedies for ages, with knowledge passed orally from one generation to the next. However, high demand for the herbs from neighboring communities is exposing the forest to new threats — a trend mirrored across the country. Recognizing that traditional knowledge is crucial to forest conservation, the government has taken steps to protect it, at least on paper. However, the Yiaku have received little support, even as their most knowledgeable elders pass on and their community becomes increasingly assimilated to their pastoral neighbors. This is the third story in Mongabay’s three-part profile of the Yiaku’s management of their ancestral forest. LAIKIPIA, Kenya — Naisimari Lentula, 80 years old, strolls carefully along a narrow footpath through the forest. Suddenly, she stops, her eyes fixed on several aromatic shrubs with bluish flowers that are tumbled over near the path. “This is the work of encroachers,” she says bitterly, then neatly sets the shrubs back to rights with the help of her walking stick. For Lentula, inspecting the condition of the plants around her homestead is a routine she has perfected and performed every other morning for decades. “I have been using these shrubs for medication and used their fruits and tubers as food all my life,” she says. A mother of four and grandmother of a dozen, Lentula is a Yiaku. The indigenous group lives deep inside Mukogodo Forest in central Kenya. Traditionally hunter-gatherers, the Yiaku have embraced pastoralism in recent decades. Although the Mukogodo area is well served by several government and privately owned hospitals and clinics, the Yiaku tend to frown on conventional health care, instead sticking to herbal medicines they gather from the forest. Like many elderly Yiaku, Lentula is a walking encyclopedia of traditional medicinal plants. “You have to know the value of each and every tree here in order to survive and sustain your family’s livelihoods,” she tells Mongabay while stripping a piece of lichen-encrusted bark from a tree to administer to her sick neighbor. Her concoction includes the boiled bark of several tree species, mixed with fresh goat blood and honey — an instant cure for diarrhea, she says. Despite her frail appearance and failing eyesight, Lentula doesn’t plan to retire from her calling as an herbalist any time soon. Nor does she take lightly intrusions that interfere with Mukogodo’s forest ecosystem. Like other Yiaku, Lentula has made it her sacred duty to monitor the 302-square-kilometer (117-square-mile) forest and ensure it remains intact. In fact, the Yiaku are the only indigenous group to whom the Kenyan government has given full responsibility for managing its ancestral forest. They have been so successful at doing so through forest patrols, strategic placement of defensive beehives, and traditions such as the designation of sacred shrines and taboos against cutting trees, that the government plans to spread the model to other communities around the country. Medicinal plants are an important motivation for the Yiaku to conserve Mukogodo. “We can only access medicinal plants if we protect this forest,” Lentula says. However, high demand for the herbs, from neighboring communities, is exposing the forest to new threats. In addition to regular small-scale disturbances like the one Lentula observed, community members say outsiders in search of medicinal plants felled several cedar and olive trees in the last year. What pains Yiaku elders most is that some of these were highly treasured trees in a sacred shrine that serves as a water source for the community. They say the intrusions occur mainly during dry seasons when other communities’ habitats have been devastated by drought. The forest suffered the longest spell of intrusions in recent memory this past year. Manasseh tells Mongabay that the Yiaku community has been generous with information about medicinal plants, but that in return the recipients have ended up using it to damage the forest. “We are now becoming cautious about who we share this knowledge with and for what purposes,” he says, adding that the community must focus on protecting rare tree species that are most sought after by outside herbalists. To combat incursions from herbalists, the Yiaku have become more vigilant. They don’t allow strangers inside the forest without the elders’ consent. Early this year, the community’s forest guards arrested three intruding herbalists, turning them over to the council of elders for disciplinary action, which typically results in the imposition of curses. It is unclear how many other arrests the guards made recently. Forest encroachment is a politically sensitive issue nationally, and especially in Laikipia county, where Mukogodo is located, and it’s common for conflicting accounts to emerge. The Yiaku forest guards claim to have arrested several individuals cutting down trees or taking medicinal plants in Mukogodo and to have handed them over to local authorities. However, the guards couldn’t say how many arrests they had made or when, and the provincial administration chief and Kenya Forest Service (KFS) conservator both denied having received the alleged culprits. Map shows Laikipia County in Kenya, where Mukogodo Forest is located. Image courtesy of Google Maps. 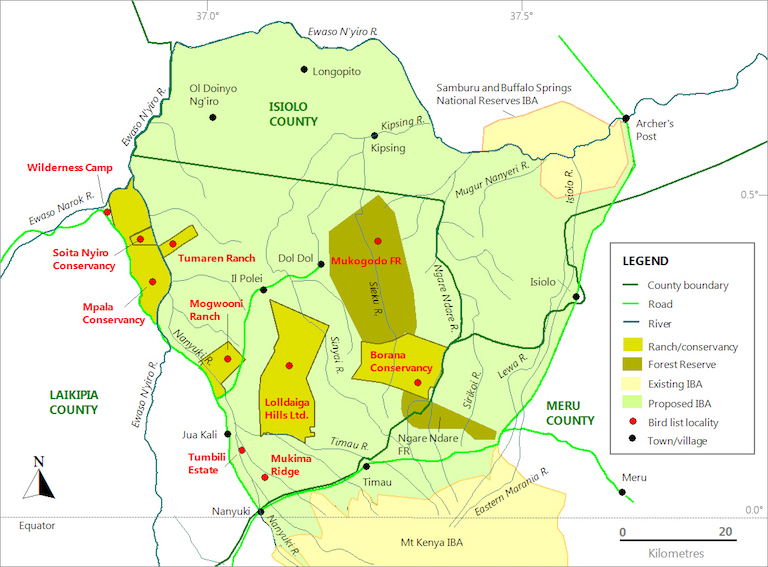 Map of Isiolo, Meru, and Laikipia counties in central Kenya shows Mukogodo Forest (center). Click here to enlarge. Image by Yvonne A. de Jong and Thomas M. Butynski, wildsolutions.nl. The Yiaku aren’t alone in facing down forest degradation for medicinal plants, and the trend has drawn the government’s attention. In Kenya, as in many African countries, the use of herbal medicine is on the rise, in part because conventional health care is unattainably expensive for many, or simply unavailable, especially in rural areas, according to a 2008 government brief. With just 15 doctors per 100,000 people, “The conventional system provides for only 30 percent of the population, implying that more than two-thirds of Kenyans depend on traditional medicine for their primary health care needs,” the brief states. That reliance is taking a toll on the country’s forests. 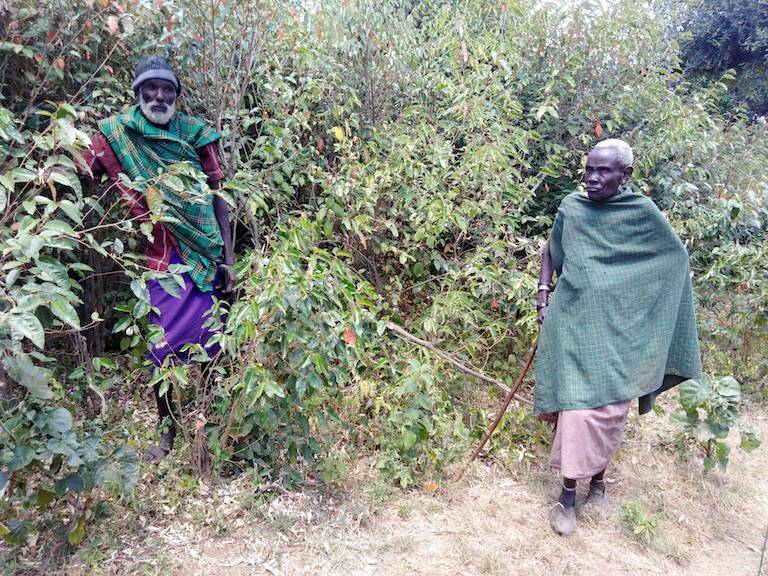 “We are losing important medicinal tree species to commercial herbalists who are overharvesting trees that are premature,” says Peter Kitelo, a member of the Kenya Forest Indigenous Peoples Network, a Nairobi-based advocacy group. Kitelo says unscrupulous herbalists are exacerbating forest destruction and the loss of medicinal plant biodiversity in the Mau Forest Complex, home of the Ogiek indigenous group to which he belongs, as well as in other forests across the country. The view is shared by conservationists, who note that rising human populations are raising the pressure on forests. 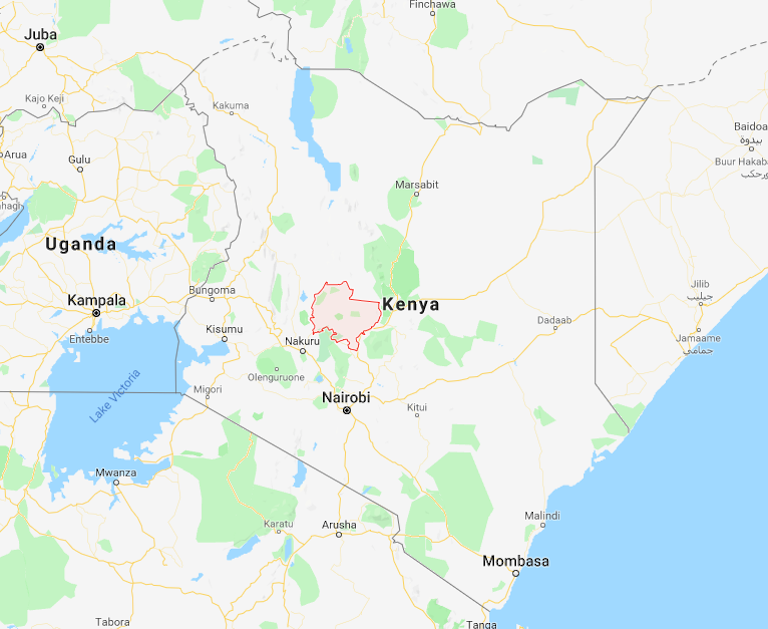 “Communities are increasingly encroaching on forests due to climate change and to expand their agricultural land, thus putting pressure on forests and medicinal plants,” says Joseph Mungai, a technical consultant with USAID who is advising the Kenyan government on forest conservation and climate change resilience. By the same token, because traditional medicinal knowledge among the Yiaku and other indigenous peoples plays a vital role in their conservation of forests, researchers are concerned about the rate at which this knowledge is being lost. Over the past century the Yiaku have adopted the culture and language of their pastoral Maasai neighbors, and most of their old people have died without passing their immense wealth of traditional knowledge on to the next generation. Currently there only two remaining elders who can fluently speak the Yiaku language. 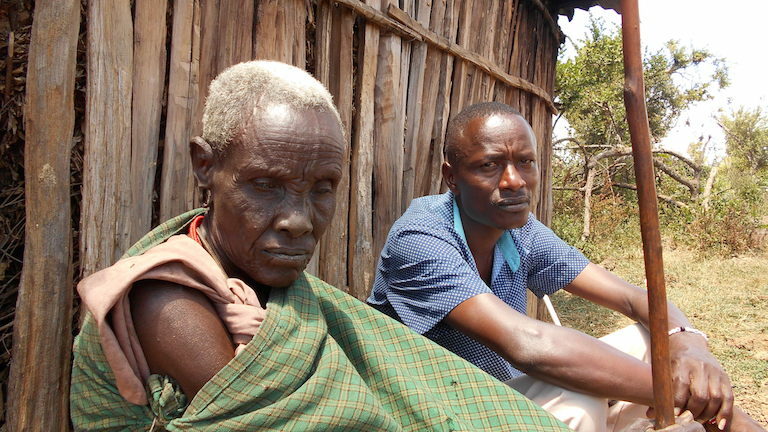 Yiaku elders Moses Litiku (left) and Naisimari Lentula (right) walk in Mukogodo Forest. Image by Shadrack Kavilu for Mongabay. Edmund Barrow, an independent community conservation and governance consultant based in Nairobi, says the traditional knowledge of indigenous communities is crucial to sustainable land and natural resource management. Indigenous people know more plant species and their medicinal properties than most researchers do, he says, adding that this knowledge should be incorporated into forest policy, both to safeguard it and help conserve the forest. He also says it should be added to school curricula to keep it alive. “We need to bridge this gap in order to ensure the knowledge doesn’t die with the elders,” he says. Since 2009 Kenya has enacted progressive laws and taken other steps to protect and conserve indigenous and local communities’ intellectual property rights over their traditional knowledge, skills and practices, including traditional medicines. However, implementing them has remained a pipe dream, despite the formation of institutions dedicated to the effort. For instance, in 2009 the Kenya Industrial Property Institute (KIPI), the government agency in charge of patents and trademarks, introduced the Traditional Knowledge and Genetic Resources Unit. One of the unit’s main initiatives was to establish a comprehensive national database of traditional knowledge, in partnership with various Kenyan research institutions, according to Stanley Atsali, a patent examiner with the KIPI. But nearly a decade later, nothing has been done. This despite the country’s adoption, in 2016, of the Protection of Traditional Knowledge and Cultural Expression Act, which specifically mandated the establishment of the database and gave the national government powers to consult with county governments to make it happen. None of the high-level initiatives have trickled down to the Yiaku. 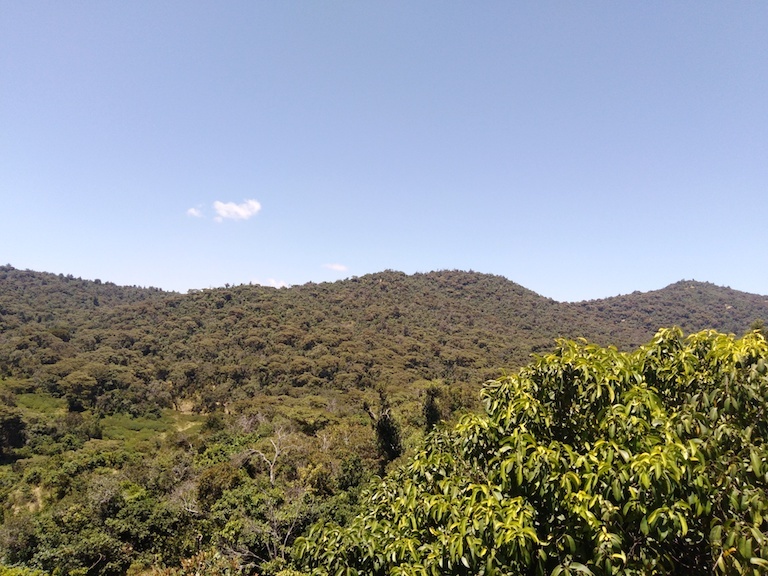 They say they have yet to receive any support from either the national or county governments in documenting and protecting their traditional knowledge, despite the government’s acknowledgement that it has been so critical to conserving Mukogodo Forest. Article Courtesy of Mongabay. Shadrack Kavilu is a freelance environmental journalist based in Nairobi. He has published in local and international media outlets, including the Mail and Guardian and Thomson Reuters Foundation News. A view of Mukogodo Forest, a 302-square-kilometer (117-square-mile) tract of largely intact dry forest that is home to 45 mammal species, including threatened elephants, buffaloes and leopards, as well as around 200 bird and 100 butterfly species. Image by Shadrack Kavilu for Mongabay.